Explain the business value of one-on-one meetings. Describe the elements of effective one-on-one meetings. Tim is a new manager with eight direct reports. He’s thrilled by the idea of managing a team and wants to learn ways to bring out the best in his people. Akira has been managing a team for more than a decade and is looking for ways to motivate and inspire her team. 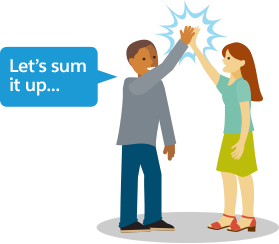 Whether you’re new to managing or have years of experience, one-on-one meetings (at Salesforce, we refer to them as 1:1s) are a great way to support your own and your direct reports’ success. These scheduled, informal meetings between you and your individual direct reports can happen almost anywhere. They can occur in an office, in a conference room, on a walk, at a coffee shop, or virtually, from your laptops. Why are 1:1s so important? Simply put, there’s no better time to learn more about what motivates, challenges, and excites your team. Most important, holding regular 1:1s shows your direct reports that you’re invested in them, their goals, their success, and their careers. Increased engagement Employees whose managers hold regular 1:1s are three times as likely to be engaged in their work. Greater productivity Highly engaged employees are 22% more productive than disengaged employees. Fewer roadblocks Managers who meet regularly with their direct reports are more successful in gaining alignment, providing support, and overcoming project hurdles. Still not convinced 1:1s are worth your time? Disengaged employees are four times more likely to leave their job. Think of all the time it takes to interview, hire, and train a new employee—that’s time better spent getting to know and cultivate the employees you already have. So let’s turn less engaged employees into more engaged ones. Let’s help our direct reports be their most productive and happy. Let’s commit to holding 1:1s! As a manager, committing focused time to your employees might seem tough at first. You’re getting pulled in every direction as you steer your team through the next release, customer pitch, or marketing campaign. 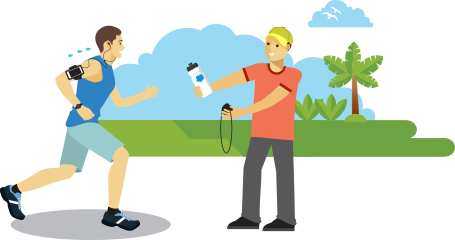 Maintaining the discipline to meet with your team members week after week throughout the year is like prepping for a marathon. You and your direct reports need regular workouts, fuel, and stamina to go the full 26.2 miles. But we all know how hard it can be to reach the finish line. Maybe an injury flares up, motivation wanes, or exhaustion sets in. Just like running coaches schedule check-ins with their athletes, consistent 1:1 meetings with your direct reports help them chase their goals. How do you commit to 1:1s? Don’t randomly add a 1:1 meeting on your direct reports' calendar without explaining that you’ll be starting up regular 1:1s with all your direct reports. Don’t forget to mention to your direct reports that you’d like them to schedule the meetings. Don’t fill your calendar with 1:1s only to cancel them without rescheduling. Remember the impact 1:1s have on engagement and productivity. You can see why 1:1s are so important, but what makes for a great 1:1? That’s easy! It starts with your time, attention, and willingness to provide support. That’s the commitment part. Connection is all about getting to know your direct reports on a personal level and showing you care about them as people with lives outside of work. You can even put your laptop down and invite them for coffee or lunch to start building a personal relationship beyond deadlines and deliverables. The simple act of connecting with your team helps build trust and understanding. These stronger relationships help everyone navigate stress, misunderstandings, and roadblocks. We’ll talk more about connection in the next unit. As we mentioned, providing inspiration is a lot like coaching—it involves giving your direct reports the advice, guidance, and resources they need to be star players. But it goes beyond that. A 1:1 is your opportunity to let your direct reports know that you empathize with them when they are stressed out and in need of a pep talk. Inspire your direct reports by sharing stories from your career about how you navigated through hard times and what you learned along the way. Want to learn more about how to coach and inspire your team to greatness? Check out Coaching and Developing Others and Inspire Your Team with Stories . Almost nothing is more important than ensuring your team is on the same page and pursuing the right goals. Of course, we’re not suggesting that your 1:1s be solely focused on status updates. Rather, great 1:1s provide your employees with a sense of direction and clarification on their projects, priorities, and even career goals. Alignment is so important to us at Salesforce that we have our own unique method for staying aligned on goals and strategies across the company: the V2MOM. To learn more about how to use the V2MOM, check out Organizational Alignment (V2MOM) . Consistent and timely feedback drives individual performance and company success. More and more companies recognize this and are dropping annual reviews. Feedback can't wait, and there’s no better time to exchange feedback than during your 1:1s. Since feedback is a two-way street, 1:1s are also an opportunity to ask for and receive feedback about what you can do better, too. To put it all together, check out our tip sheet: The Elements of a Great 1:1 in Action, within our One-on-One meetings pack . We hope by now you’re convinced that holding regular 1:1s results in more engagement, more productivity, and fewer roadblocks for everyone! In the next two units, we’ll share top tips from some of our best managers at Salesforce to help you conduct amazing 1:1s.